Workers in a Chinese factory used by Apple have hit out at a proposed 80,000 yuan ($12,167) settlement. Some 115 workers there had been exposed to the toxic chemical hexyl hydride, with the owners of the Suzhou factory offering 80,000 yuan as compensation to take care of medical bills and the like. That’s not good enough, say some of the workers. One affected worker told Reuters that as a consequence to his exposure to the chemical, his daily medical bills now topped 800 yuan. He’s since asked for health care coverage that extends past his stint at the factory. He’s also asked for an apology from Apple. 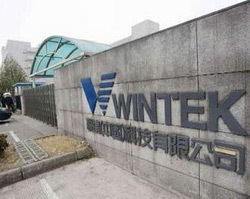 The factory’s owners, Wintek, say they have set aside some 10 million yuan ($1.5 million) to cover the costs of their employees medical care stemming from them exposure. This is hardly the first time Apple has been linked with irregularities at Chinese factories. You’ll recall the rash of suicides that occurred at a Foxconn factory in the past two years, prompting an Apple investigation. Foxconn, of course, is the manufacturer that pumps out items like the iPad and iPhone.